The state of Iowa has become heavily reliant on manufacturing, a sector that accounts for the largest part of the state's economy. With a population just over three million residents, the Midwest state is also becoming notable for its focus on energy production, agricultural manufacturing, technology and food manufacturing. While industrial sectors have proven prosperous for the state, Iowa has also recently dealt with its share of natural disasters. Both tornadoes and floods have plagued the state in recent years and have caused massive damage. Unfortunately, natural disasters in a state with heavy manufacturing can lead to asbestos exposure. Because asbestos was used in manufacturing and in the construction of both public and private buildings, natural disasters can damage asbestos-containing materials and release fibers into the air. 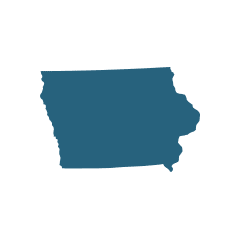 For those who are affected by asbestos exposure in the state, Iowa does have cancer centers with doctors who focus on treating rare cancers like mesothelioma, which can result from exposure to asbestos. The following locations in Iowa have been a source of asbestos exposure for state residents. Consisting of more than 25,000 residents, a significant amount of asbestos exposure in Iowa takes place in the city of Fort Dodge because of the city’s mining and industrial history. With a major focus on mining, manufacturing and construction, the city is home to many companies that use asbestos in the manufacturing of their products. Because industrial workers often remain within similar sectors throughout their careers, the chances of harm from long-term asbestos exposure is increased. The city’s economy is notable for its focus on limestone mining, drywall manufacturing, gypsum mining and trucking. All of these sectors are known to use asbestos-containing products. In the gypsum sector alone, companies like United States Gypsum Company, Celotex Corporation, Georgia Pacific Corporation and National Gypsum Company have gypsum operations in Fort Dodge. Iowa City has recently seen its share of hazardous threats, from tornadoes in 2006 to a massive flood in 2008. Both of these natural disasters may have put residents in danger to asbestos exposure. According to some experts, the 2008 flood was the worst natural disaster in the state’s history. Some estimates have damages in the tens of millions of dollars for the 2006 tornadoes while the economic damages of the flood was estimated at costing upwards of billions of dollars, because of the long-term impact of agricultural damage, in addition to all of the immediate damage. These two destructive forces demolished countless older homes and building structures, many of which contained asbestos. This left residents and public officials in the position to clean up a potentially dangerous mess. During this period, various levels of disturbed asbestos fibers were likely present in the air and water and may have posed a health threat to residents. Public health officials stated one of the biggest concerns for asbestos occurred when the flood waters receded. The fibers left behind in the flood’s wake were allowed to dry and become airborne, increasing the risk of exposure. Because of the heavy focus on manufacturing and industrial production, specific occupations in Iowa may have a higher risk of asbestos exposure when compared to others. Power plant workers are one of the most notable occupations at risk. Because many of the materials or structures they deal with on a regular basis may contain asbestos, the risk to their health becomes real. Not only is the worker directly at risk, but their family members are also at risk as a result of secondary exposure, which is common because asbestos fibers are carried home on the clothing or skin of a worker. This occurred in the case of a power plant worker’s wife who died after being exposed to asbestos by washing asbestos-contaminated clothing day after day. Her husband claimed that the power plant was ultimately responsible in the wrongful death from asbestos exposure. Other occupations in Iowa that are also of high risk include construction workers, metal workers and industrial workers. 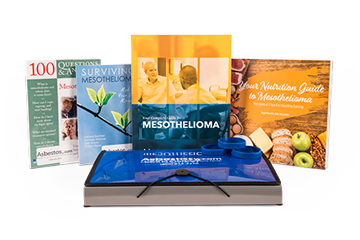 Because of the frequent use of asbestos-containing products in these industries, workers may be increasing their chances of developing asbestos-related diseases like mesothelioma. As the economic incentives have attracted many big industrial companies to conduct business in Iowa, it has also increased the number of employees working in these at-risk occupations. Companies like Georgia-Pacific Corporation, National Gypsum Company, Celotex Corporation all have facilities in Iowa. These companies are known for using asbestos products in their facilities and have been involved in asbestos litigation as a result. Relatively few mesothelioma and asbestos lawsuits have been filed in the state of Iowa. Some states, like California and New York, have high numbers of mesothelioma lawsuits and the history of judgments tend to favor plaintiffs. Iowa is not considered one of the better states to file an asbestos lawsuit. For example, an Iowa jury in 2008 found an asbestos manufacturer not at fault in the death of a Navy veteran. Prior to this suit, it had been 10 years since an asbestos case was tried to verdict in Iowa. However, the legal landscape could be changing in the state. In 2014, an Iowa jury awarded $6.5 million to the family of a plumber who died of an asbestos-related disease. Stewart v. Foster Wheeler Jerry Stewart was exposed to asbestos from 1949 to 1950 working as a fireman aboard the USS George Clymer, a Navy troop transport vessel. Stewart worked near the ship’s asbestos-containing boilers, which were manufactured by Foster Wheeler, a company that supplies equipment for engineering, energy, power and construction industries. He was diagnosed with mesothelioma in early 2005 and died later that year. Stewart’s son filed a lawsuit on his father’s behalf, and an Iowa jury in 2008 determined that Foster Wheeler was not liable. At the time, it was the first asbestos case tried to verdict in Iowa in more than 10 years. Kinseth v. Weil-McLain Larry Kinseth, who passed away from mesothelioma in 2008, worked for his family’s plumbing business, where he was exposed to asbestos through working with contaminated boilers made by Weil-McLain. The company is the largest manufacturer of cast iron boilers in North America. Kinseth’s family filed a lawsuit against several asbestos-product manufacturers; Weil-McLain was the only company to not settle outside of court. Weil-McLain was found 25 percent liable in 2014, and Kinseth’s family was awarded $6.5 million in damages. In 2013, a company was fined $80,000 for violating asbestos removal laws during the demolition of a truck stop in Williamsburg, Iowa. The company, Jai Santoshi Ma Inc., failed to check for asbestos prior to demolition and notify the Iowa Department of Natural Resources. Other violations included burying asbestos-contaminated waste on the jobsite, disposing of contaminated debris in a landfill without proper labeling, and leaving contaminated debris on-site in open air for weeks without wetting it to prevent asbestos fibers from escaping. A similar set of violations transpired a year earlier in Bettendorf, Iowa. A $35,000 fine was issued to Rockingham-Lunex Co., which failed to inspect for asbestos before demolishing two Bettendorf buildings in 2011. Other violations included failure to remove asbestos before demolition, failure to hire a licensed asbestos removal contractor to abate the asbestos, and mishandling of asbestos-containing material. Following the notice of violation, the company properly disposed of the remaining contaminated debris.